Acne is caused by bacteria that creeps into facial pores and infects them. This bacteria is present on everyone. When the amount of bacteria of overwhelming, it creates an acne infection. Acne is particularly associated with teenagers due to the hormonal changes in their bodies that make them more susceptible. Acne home treatments have been found to reduce the presence of acne infections in many patients. Baking soda is also known as sodium bicarbonate. It’s an ingredient that’s present in some detergents available at the supermarket. This chemical works by gently exfoliating the pores of the skin. Exfoliation helps remove dead skin cells. Dead skin cells can be responsible for trapping the bacteria that causes acne. Baking soda helps regulate the Ph balance of the skin. Sodium bicarbonate also has mild anti-inflammatory properties. The anti-inflammatory properties associated with sodium bicarbonate may help reduce the swelling that’s often associated with acne. Acne infections cause skin pores to become blocked which makes them retain an excessive amount of oil. Oatmeal has the ability to absorb excess oil that may be trapped behind a blocked pore. Oatmeal has a rough texture to it. This texture will work to exfoliate the skin. Tea Tree oil helps kill the bacteria that causes acne. Some people take issue with this product due to the cooling sensation it creates. It only creates this cooling sensation when being left on the skin for a long period of time. This product works as a natural antiseptic in the pores. Rough skin can often be a sign of an excessive amount of dead skin cells. Patient’s who have rough skin might notice pealing, or redness in the area. Honey can be extremely moisturizing and has anti-inflammatory properties. This will work to heal the rough, dry, acne-prone skin. Acne isn’t always caused by oily skin. The rough skin associated with dead skin cells can block bacteria into the pores as well. Honey isn’t capable of blocking facial pores when it’s properly applied and removed. It has anti-bacterial properties that’ll keep the pores clear of any acne causing agent. Honey washes off with water; followed by a quick swipe with a paper towel. This ingredient is found in many teas and the teas that contain it in the grocery store can be used as a mask on the skin. The flower can also be purchased on the internet for topical purposes. Chamomile may help reduce the harsh appearance associated with acne. It decreases inflammation when used in a topical application. Aloe has burn relieving properties. This can be useful for sore pimples. Studies have shown that aloe helps to reduce scarring. Aloe can promote the feeling process for damaged skin that’s left behind. Acne home treatments can prove to be a useful tool when combating the skin condition. 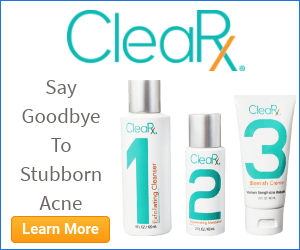 It’s not the only method available for treating the acne. Acne should be treated by a medical professional if it continues to get worse, or never gets better. Some find that taking a natural approach the best place to start.